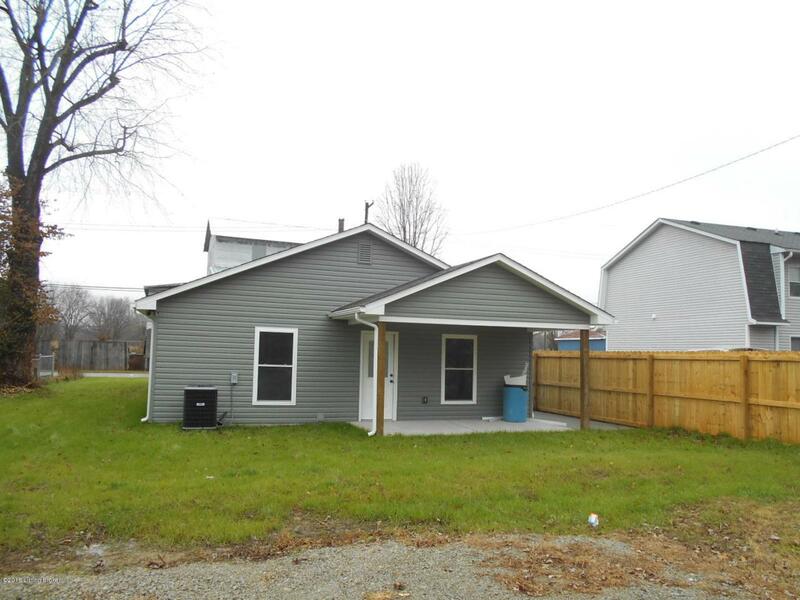 New Construction in heart of Lebanon Junction, KY. 2 bedroom 1 bath one level home. Home features custom cabinets, trim and doors. Laminate flooring throughout home, there are no steps in home. . Both bedrooms have walk in closets and there is a laundry room in center of the house for easy access , plus entry and pantry closets. 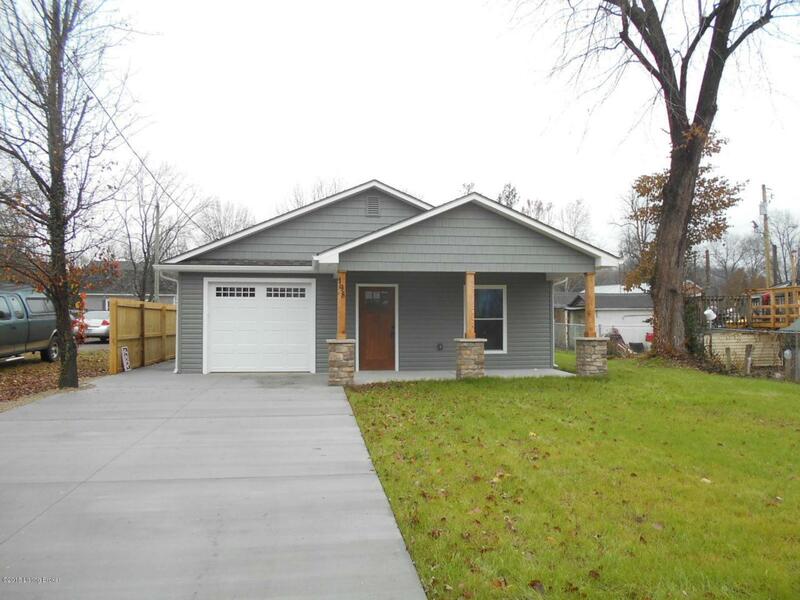 Front and rear covered porches are concrete as well as the driveway, sidewalks all concrete. There is a sidewalk on the side of the home leading to rear of the home. 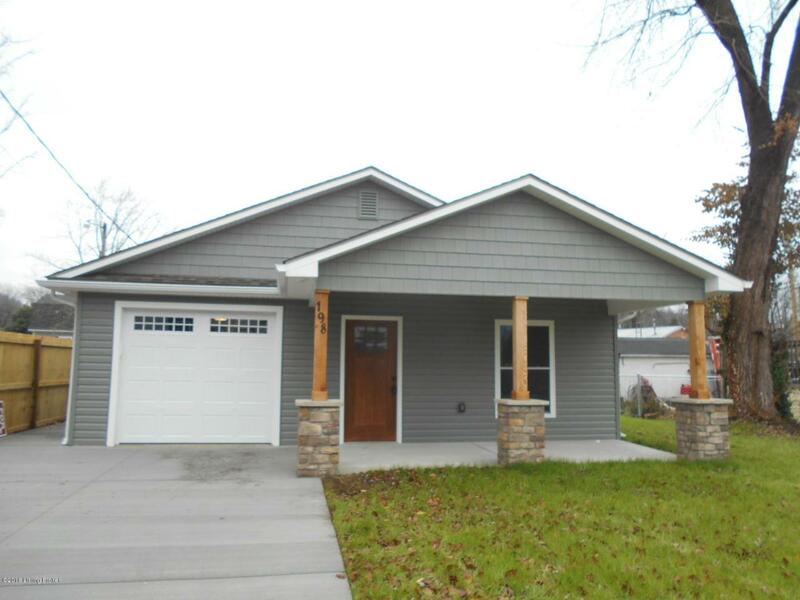 House would make a greater starter home or retiree home. 1 car attached garage. 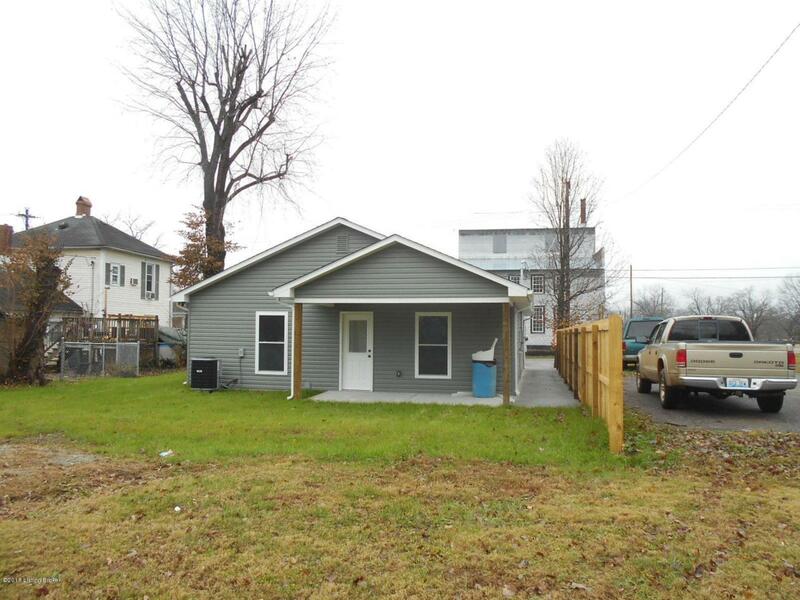 House has public sewer, water, heat pump, dishwasher microwave.House has been staged with furniture which is not included but could be purchased separately.